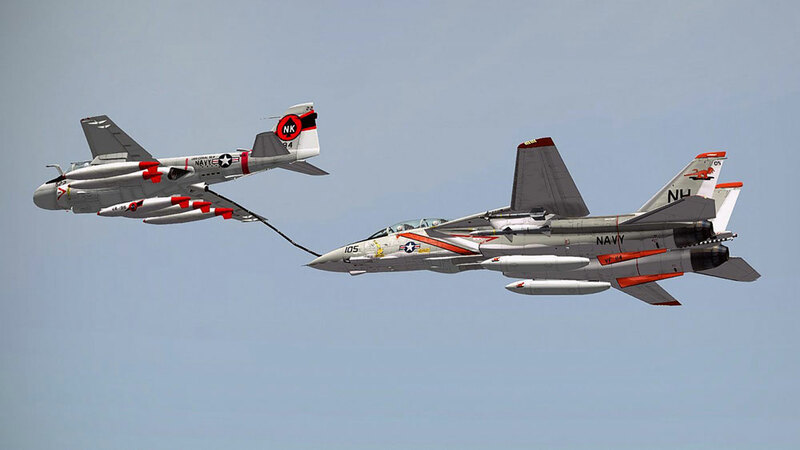 NOTE: This version includes the Extended version! 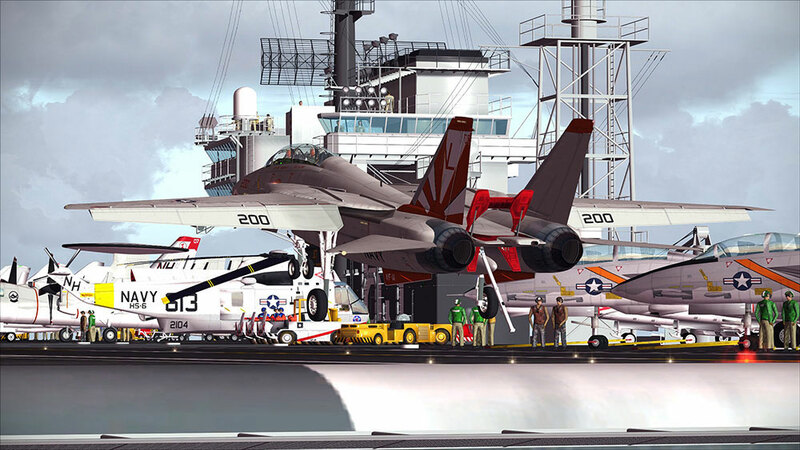 Find more information under upgrade service. 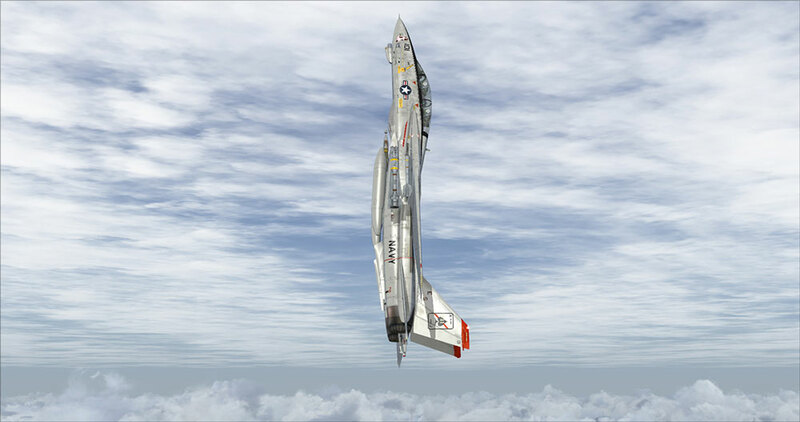 Fifteen seconds was all that was needed to reverse a guns solution with an F-4 on its tail. 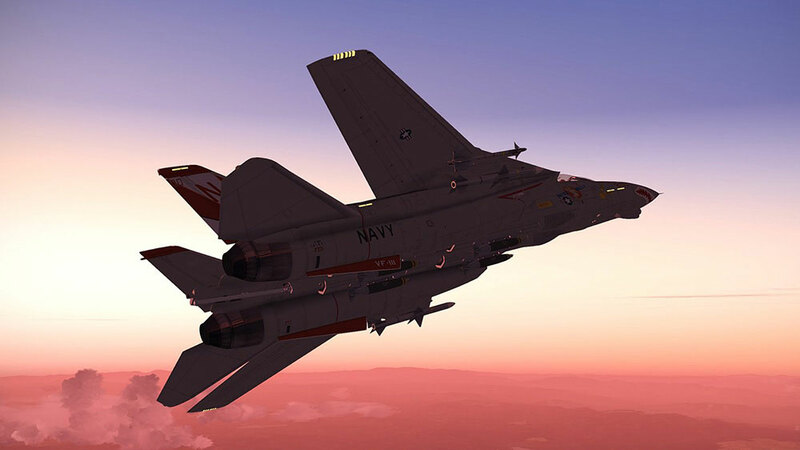 A radar so powerful that it could burn through jamming signals emitted by other combat aircraft while guiding a missile that fell from 100,000ft at March 5. 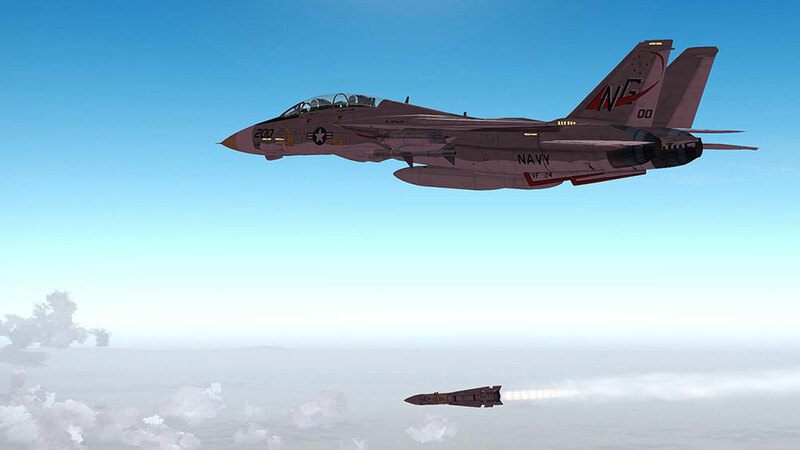 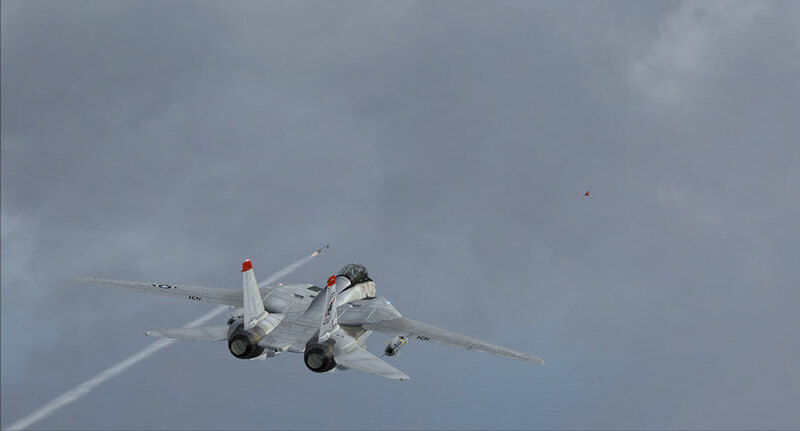 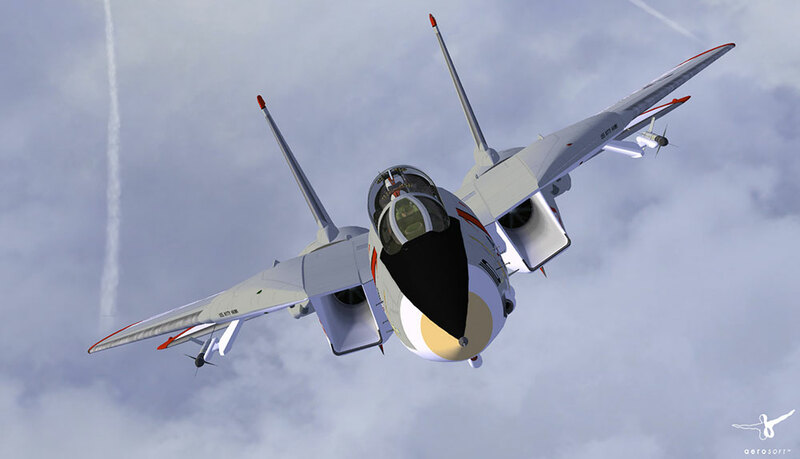 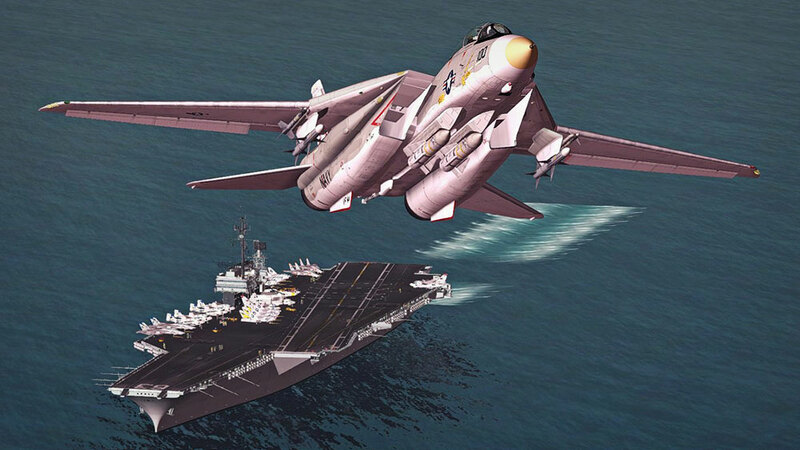 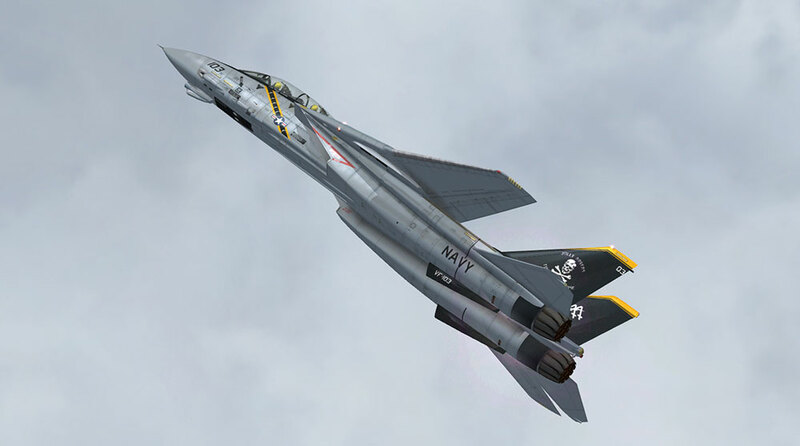 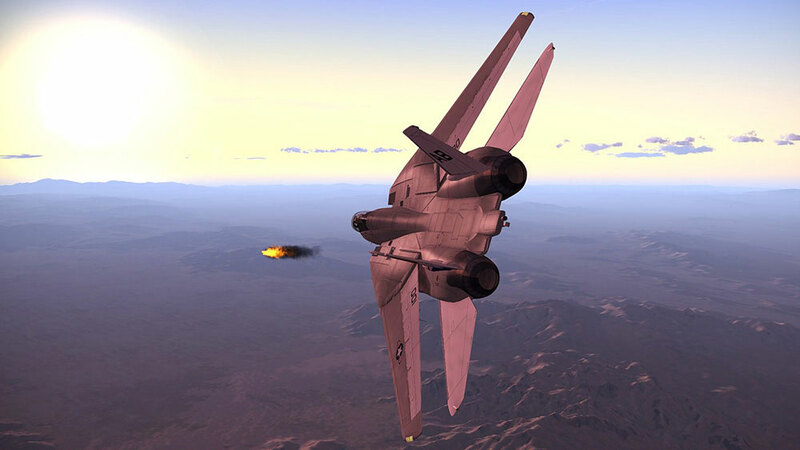 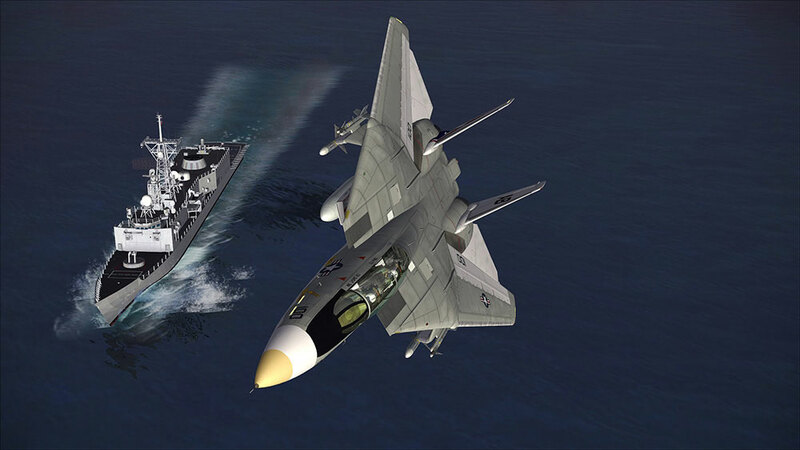 The Aerosoft F-14 Extended was designed with two principle objectives. 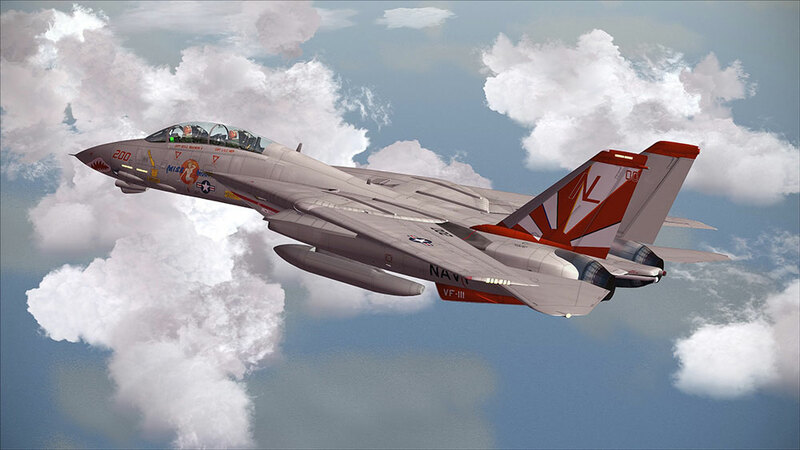 The first was to create an authentic and detailed representation about what it was like to fly the early model F-14`s and the refinements made over the first 20 years of the airframe`s service life. 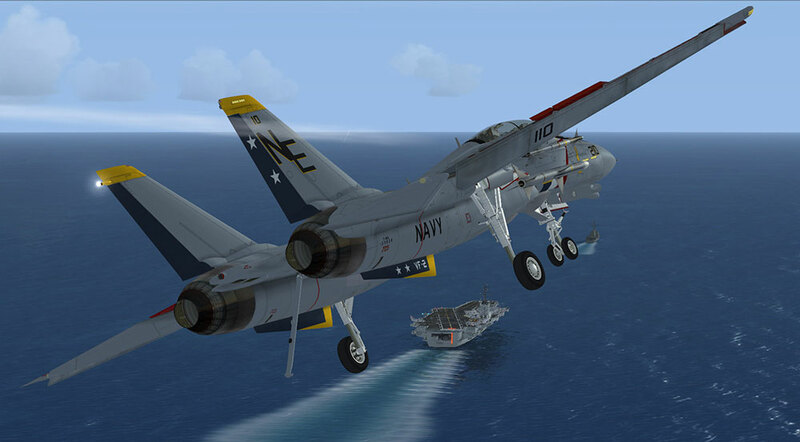 The second was to create an accessible simulation for all users. 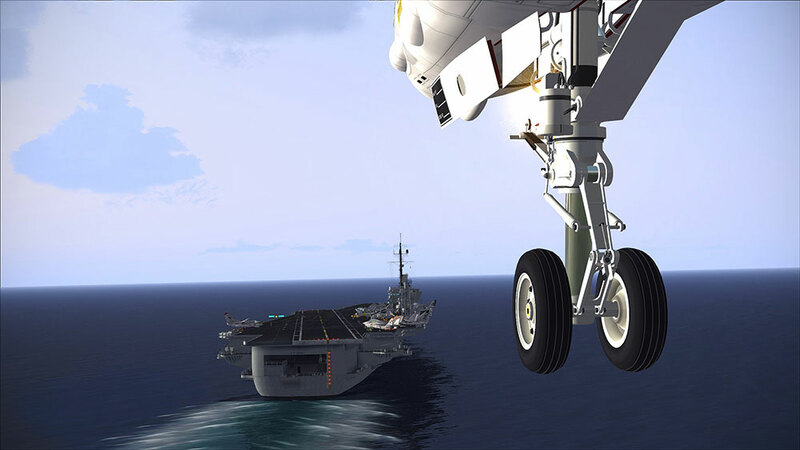 While many of the advanced systems will require you to RTFM to operate effectively, anyone can be in the air within seconds of loading the sim (well maybe a little longer if you`re setting up a carrier launch). 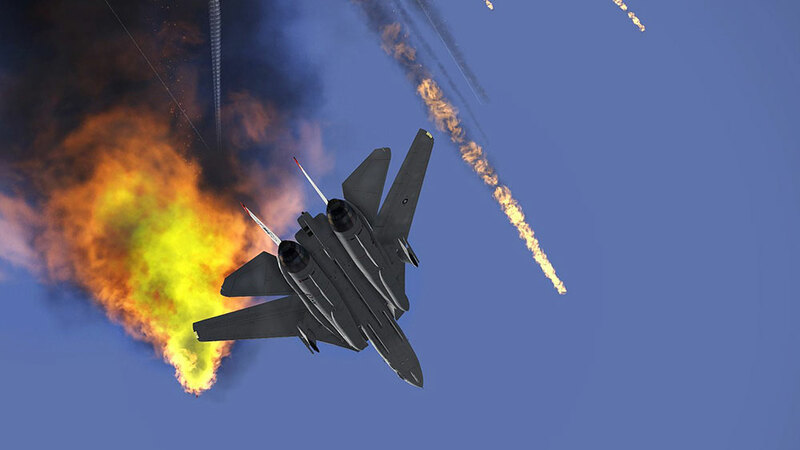 While failure logic, such as engine compressor stalls are included, they will not become active and take out an engine unless you enable the feature. 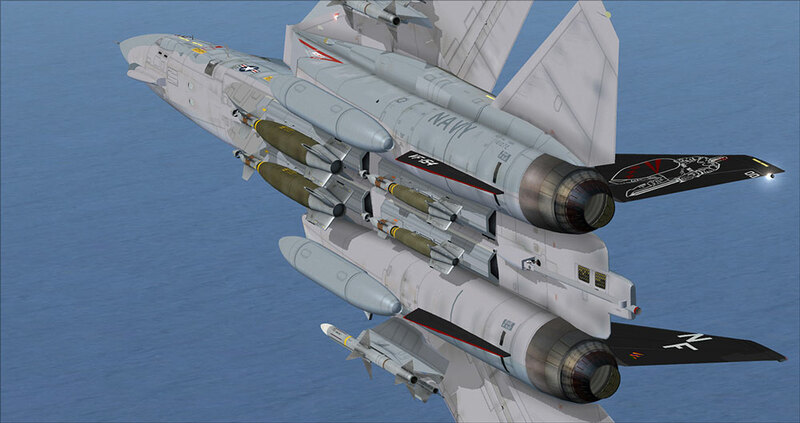 LANTIRN targeting pods can track and guide precision ordnance to GPS locations or moving AI targets. 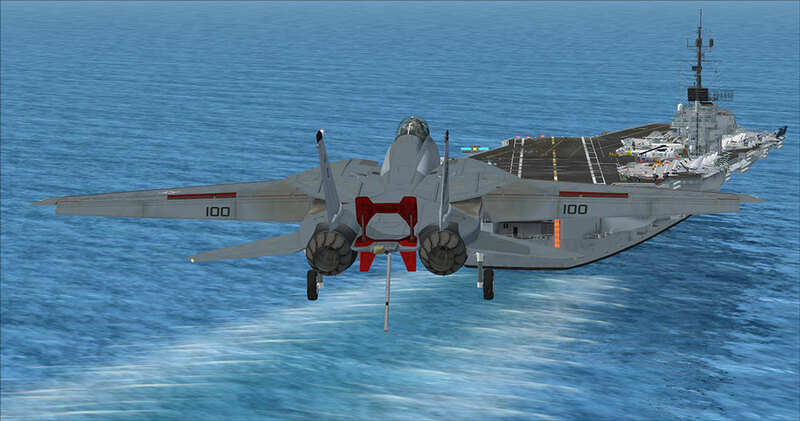 Joystick input can be routed to drive from the pilot seat or scan the skies from the RIO seat with a steerable radar. 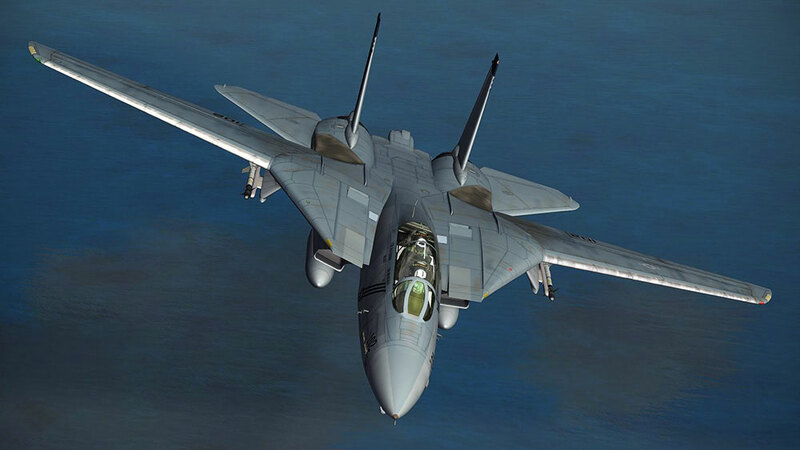 Every control surface moves on the visual model and within the flight model according to underlying hydraulic system, with realistic gains, rate limits, and damping. 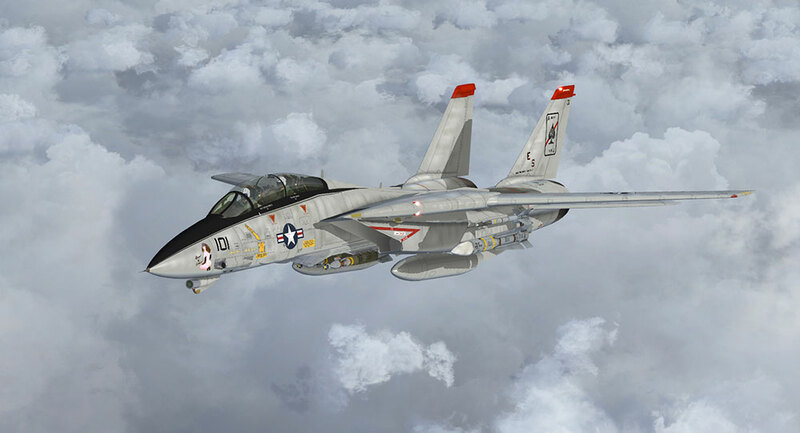 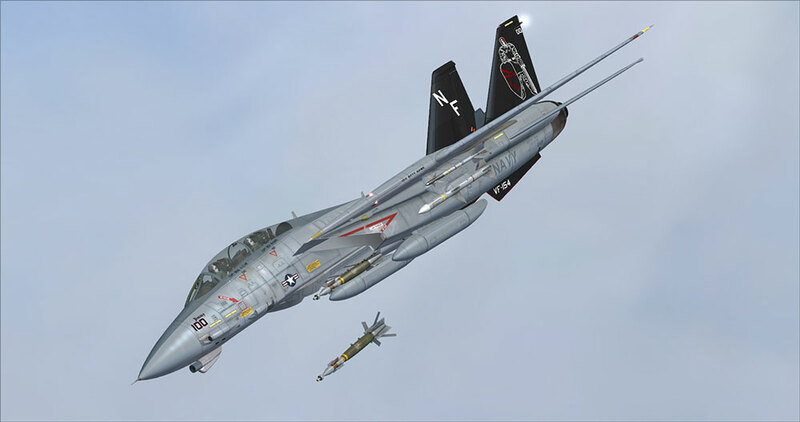 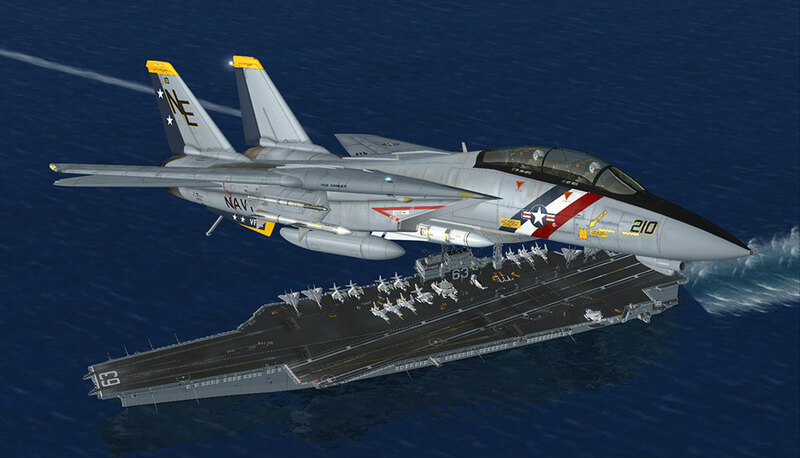 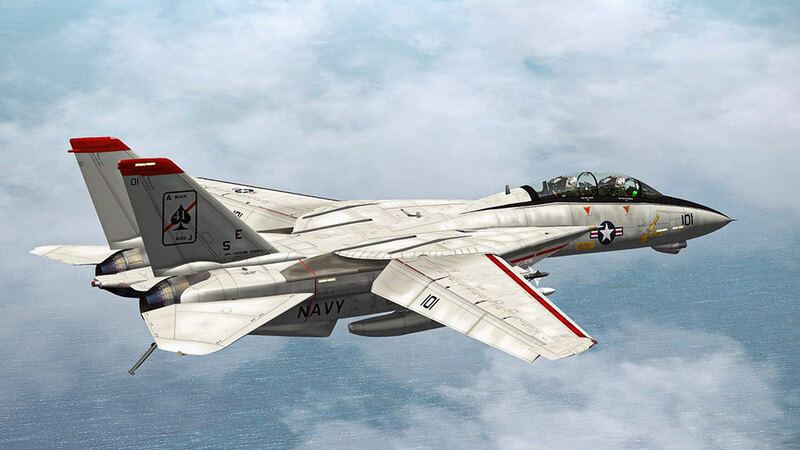 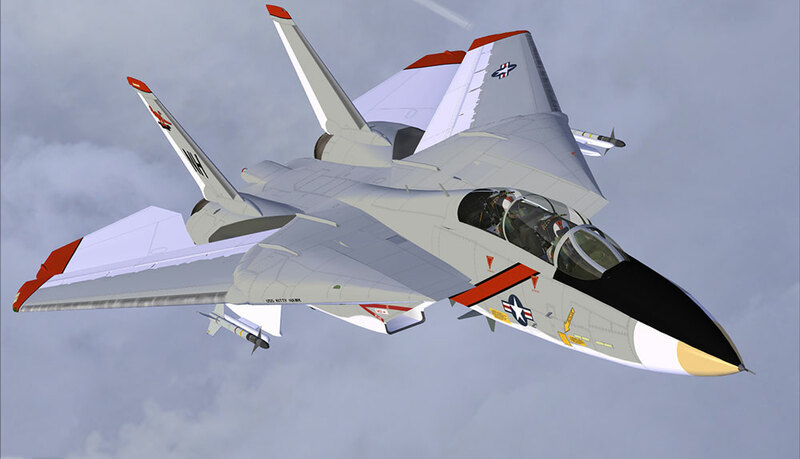 Related links to "F-14 Extended"
**Note** The updated ‘F-14 Extended’ is a free new version to all current users that was created with the assistance of three F-14 drivers. 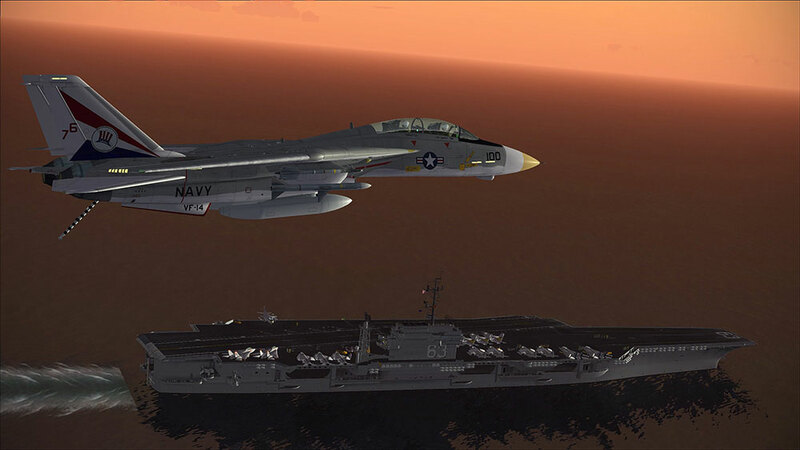 It includes not only many new functions but also makes many existing functions more realistic. 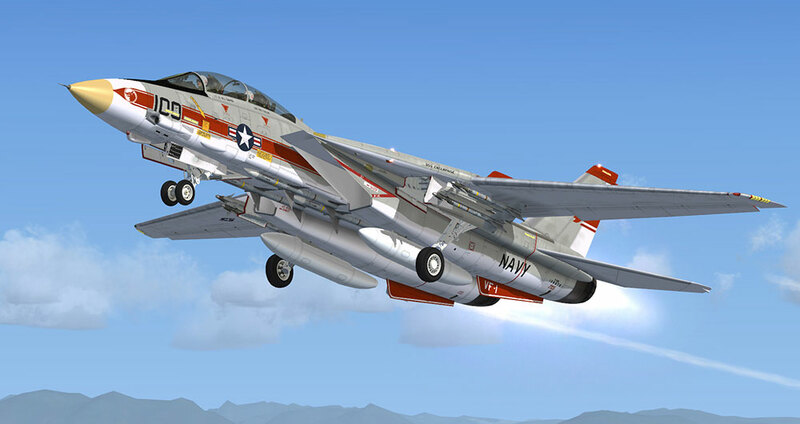 Please note that the DVD includes the previous F-14 X. 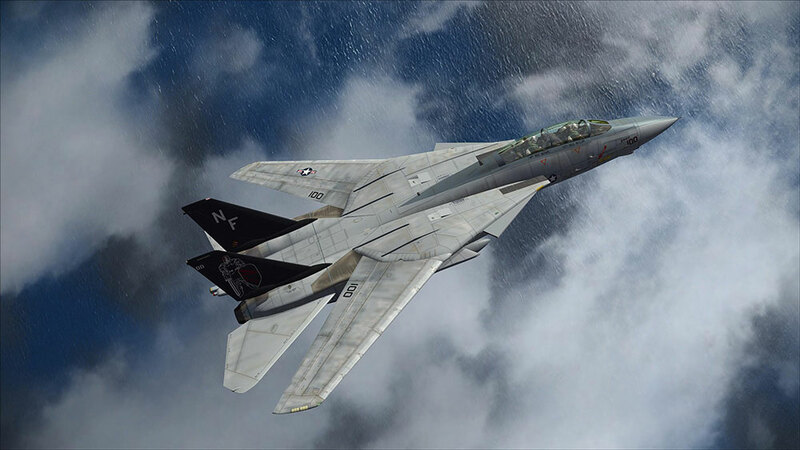 The Extended version for owners of the download version is available as a full new built on the order history page in your account. 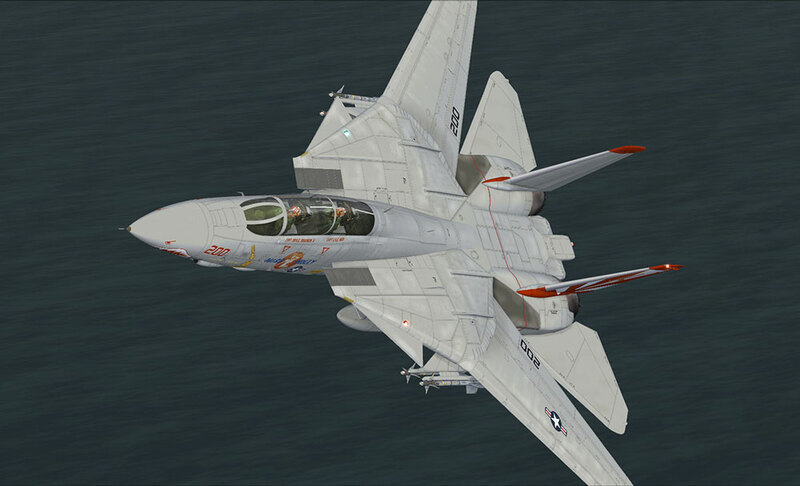 Owners of the boxed version will find it in our update database.